How Are You Looking At Your Weight Loss? 1. how many pounds have you lost so far? 2. And how many days have you been on the diet? Usually the response is something like, “it’s vlcd 15 and I’ve lost 14.6 lbs.” This woman has lost over 14 lbs in 14 days folks! She has a 1lb/day average at this point. This is phenomenal! Yet, she was looking at the past 3 days or so and seeing that she gained .2 lbs one day, then lost nothing the following 2 days after that (don’t feel bad if you are one of the people whose emailed me about this- you are not alone! Many have, so I thought it would make the perfect topic for an article). And when it’s your first time on the protocol, and you’re not quite sure what to expect, this can be unsettling. But see what happens is sometimes we forget to look at the overall picture. If you lose 14 lbs in 14 days say, your body may now be playing a little catch up- which is basically a phrase to say that I have no idea what your body is actually doing, but I know that a body can’t just continually lose a consistent amount of weight day in and day out without sometimes having periods where the scale doesn’t really move. That’s just how it happens. If any of you have watched The Biggest Loser show, it happens to them too! You see them working their bottoms off all week, exercising seemingly 10 hours a day for 7 days, and then some weeks they lose 12 lbs and other weeks they lose 2 lbs- even though the effort put into each of those weeks was exactly the same. Why is this? Who knows (maybe a real trainer could tell ya), but the point is, our bodies don’t work like clockwork in this manner. Our bodies are actually designed to live in a state of homeostasis- it tries to keep things the same– our blood pressure, our daily temperature, our heart rate. When making such a drastic change to our body while on the diet, you will come to find it’s totally normal to have short periods of time, even up to a week sometimes, where there is little or no weight loss. Even weight loss on different rounds of the protocol will vary. No doubt you gained weight inconsistently to start with right? You didn’t just start overeating and gain exactly .3 lb’s per day for a year right? In fact, there have been periods in my life where I’ve eaten in an unhealthy way and gained weight very quickly, like 8-10 lbs in just one month, then other periods where I was eating pretty much the same, but didn’t really gain any weight at all for months- I was already quite overweight and it was my like my body was kind of “set” where it was. take stock of how your whole round on the protocol has gone so far. Most likely you have accomplished more than you realize already. Inspired Girl has some additional thoughts about this big picture idea when it comes to hCG Diet Weight Loss. Please check it out – it can be easy to brush off these things as not mattering, but in reality, coming to grips with food and seeing the overall picture is the only way I didn’t give up and the only way I’ve been able to maintain my weight loss these past several years. 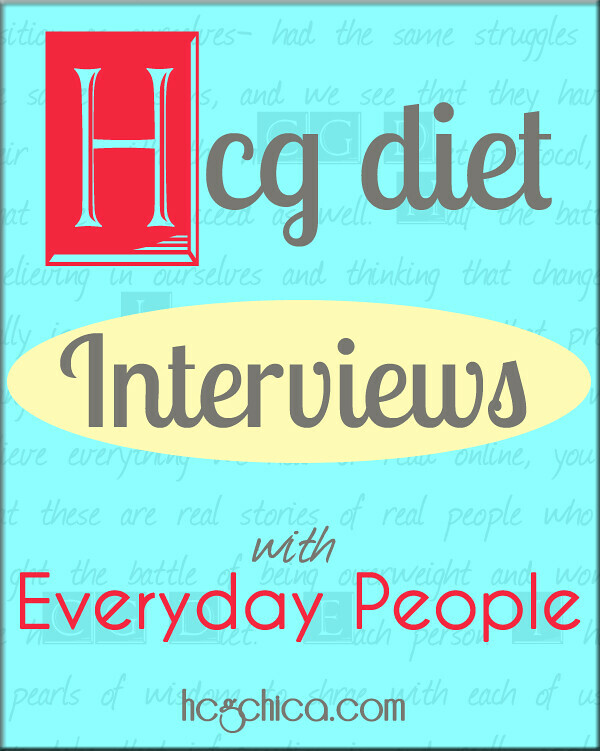 Contribute to Episode 2 of the HCG Diet Community Video Project- April 25th deadline! First Ever hCG Newbie Webinar with hCGChica! 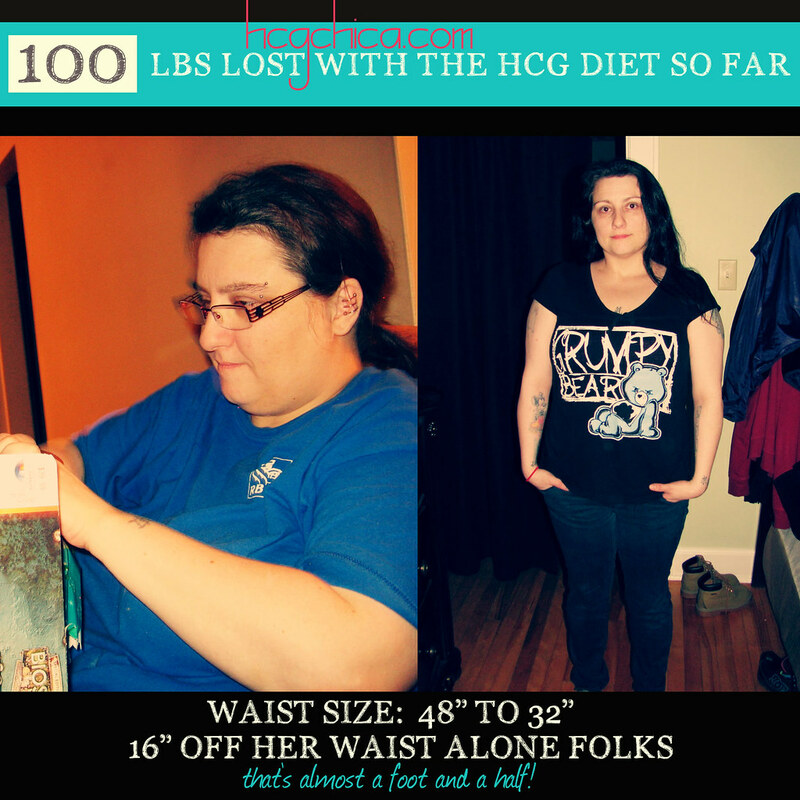 I started hcg on feb 20th at 190 pounds and to date I have only lost 10 pounds. I have had 2 stalls and currently feel defeated as I have not cheated at all on the diet. My 4 weeks are up on March 14 and as of today 3-7-19, I weighed in at 180 this morning. I just dont know what to do to have some sort of weight lose. I am not cheating whatsoever. Any advice would be appreciated. Are you drinking water? Lots of water. It flushed out the junk! When I don’t drink I don’t have a great day! SCALE VICTORY! Hang in there ! I started round 2 on HCG at 145 lbs. I’m VLCD day 14 and now I’m at 143lbs. I’ve been logging every bite I eat and have been staying under 500 calories every day. I’ve read everything I can get my hands on about how to do this diet correctly. I just don’t understand why I can’t do this. This is an extreme diet to commit to with no results. I’ve been on the hcg diet (3rd time), to lose 12 pounds. I strength train twice a week. Very lcd.. I’m not losing weight but my energy levels are high and I’m rarely hungry. Why hasn’t the scale moved? I thought I had seen a post about using broths. Can you tell me if broth is okay and what brand is best. I have been using it and dong fine but the past few days weight has been creeping back on and I am thinking it is the sugar in the broth. I think I am using a different brand than beore. Homemade broths would be the best. If you’re going to buy, just make sure it’s fat-free and does not have added sugars in it. Hello…I’m very interested in doingbthe hcg injections. Here’s the thing…I have changed my eating habits ALOT in the past 3-4 months. I eat about 500-700 calories a day and sometimes even less. Usually not so hungry. Since I started this ive lost about 8 pounds. Well…now I’m at a stall. Haven’t lost any weight the past month. So my question is, if I start HCG, will that make a difference? Especially since I’m already eating the foods and staying around the calories as if I were on HCg? This is Li-an, Rayzel’s assistant. Nice to meet you! Honestly, since it’s not hCG that causes the weight loss, I believe it would be the same. Just to reiterate, hCG is not what causes the weight loss. What it does is to help control the hunger and preserves muscle mass. It also helps us access the stubborn fats to burn off together with the VLCD. Hi, I’m new, I have been doing the strict protocol phase 2 for 7 days no cheating and only 2.3 pounds lost. . Is this normal? ?? This is Li-an, Rayzel’s assistant. Nice to meet you! That would be 0.32lb/day of loss, the average is 0.4lb/day so you are still near the normal weight loss range. It will also depend on how much weight you need to lose. Basically, the closer you are to your goal weight, the slower the losses will be. I am on day 15 of the HCG diet, sticking STRICTLY to the 500 calorie a day diet (and recommended foods). I have not lost a single pound. Any thoughts on what could be going on here? I am 33 and have been on the hcg diet for 7 days. However, I have only lost 3.8lbs. I did have 1 slip this week and shared a birthday pretzel snack with my young daughter. Is this process going to work for me now or should I just stop? I feel like I’ve already messed up and I feel extremely hopeless. I would suggest doing very clean VLCD moving forward and focus to make sure not to cheat again. Good luck! I have been on the hcg injections for 7 days and lost 13 pounds….I woke up this morning and weighed myself and it is the same as it was yesterday….no cheating sticking to the 500 calorie diet even though I have been averaging about 300 calories a day…should I eat more? I just want to nip the stalling in the bud before it goes on for too long. That’s like almost losing 2 lbs in a day! Have you watched the video in this blog post? Or have you read the blog post itself? Please do as it explains the process of weight loss in detail that will help you understand more why there are days you can’t be losing even if you’re following the protocol to a T! I am doing HCG for the 1st time. I am trying to stick to the OP as much as possible adding only some veggies that are from the AP. roughly 500-600 calories a day. A week in 12.8 pounds down which is great! Just curious as to why I now have not lost anything for 2 days. At first I thought it was the fact that I had not had a BM in 3 days, but had a small bm the next day not nearly enough to make a difference. I am also feeling hungry again. I am on day 37 and have lost 33 lbs. the last 5 days I have not lost anything and I’ve been doing everything the same, no cheating at all. This is the longest I’ve gone without losing. I’m on round 1 phase 2, and I’ve been doing the 500 cal. Should I do an apple day ? That’s 0.89lb/day if you look at it! Average is 0.4lb/day. I would just stick to the VLCD strictly if I am in your place and won’t worry that much. Have you watched the video in this blog post? Please do as I believe it will help you understand it more! Ok thank you! No I have not seen the video , I will watch it. Thanks again, I just got worried I wasn’t losing and wanted to check with someone that might know. I don’t know anyone who has done this HCG so it was nice to find this websit. It’s so helpful. Thank you for your time ???? Hello! I have been on the HCG phase 2 for 33 days and have lost almost 23 pounds! My weight has stayed the same for the past 4 days, could this mean that loosing any additional weight on this round is not possible? Should I try an apple day or start planning to enter phase 3? I have noticed a steady increase in hunger over the last few days. This is Li-an, Rayzel’s assistant. Nice to meet you! Honestly, we can’t really tell if weight loss has ended there. Stalling is quite normal in the latter part of the round though. And looking at what this video is all about, you actually lost .69lb/day which clearly says that you did a good job going beyond the .4/lb average. If I were you, I would just keep whatever I am doing until I finish the round. I don’t think an apple day is necessary. If you did not really change what you ate, you can look at the other possible causes of the stall. I could use some guidance. I’ve been on the diet for 2 full weeks now and have only lost 3 pounds. That’s right…3 pounds in 14 days. I could have done that without HCG. Plus I am consistently hungry. Hungry when I wake up and hungry when I go to bed. I am very fatigued and sleeping good at night. I AM NOT CHEATING. My doctor says this is scientifically impossible, yet it is happening. What is going on here?! I feel like I am starving myself and I’m concerned that this is going to put me on a serious diet yo-yo effect once I’m done with these injections. He just wants to prescribe me more appetite suppressants….but that’s not going to help me lose…I’m not cheating. Help?! Sorry to hear that. But yes, you are right. You can really lose that 3lbs without hCG. hCG doesn’t cause you to lose weight, which is a commonly misunderstood thing. Your own body loses weight as a result of the 500 calorie diet. Even with NO hCG a person whose body is in correct operating condition should lose the same amount of weight. That’s why this indicates that something else is going on in your body right now that’s preventing a more normal pace of weight loss. What hCG’s role is in the diet is to curb hunger and preserve muscle mass so that you are losing fat and not muscle. Regarding the hunger, it could be your dosage is off or maybe because you are very close to your goal weight. Or can I ask how many lbs are you from your goal weight? I think I need to change my strategy. In rounds past (which all but the first one were epic fails) I had done HCG OP, but I always gave up without really giving myself a chance. This time I decided to try a variation of HCG 2.0. During the 1st 10-11 days I had managed to lose 12 pounds but not only have I been stalled for the last 3-4 days but I even put back on 2 pounds. So I am only now down 10 pounds. Being day 18 is it possible I need to increase my dosage? It’s already mixed and drawn into syringes in the freezer. Also, is it possible I need to revert back to strictly protocol foods and calorie limit? 2.0 calculates me at 747 with 120 of it being vegetables. How does one succeccfully do OP as a vegetarian? Yes I eat dairy…cheese, eggs (ew), milk, yogurt. I really could use some insight and motivation. I feel like all these FB pages I am turning to are more people’s opinions rather than true knowledge. Sorry for writing so much. I am just at the point of giving up again. And that makes me cry. For the 1st time since starting this round….those Chili’s commercials are very captivating and I am craving my favorite sweets and alcohol. On the 2.0, we’re very sorry but we don’t have enough info about this protocol. Rayzel personally did the OP which she believes give the fastest result (also because she haven’t tried other protocol – so would be difficult to speak for it). Actually, we do recommend getting tips & help from groups since the people in the group have done the protocol and hearing 1st hand account of their experiences would be better! There are lots of vegetarians who did the protocol successfully while using tofu, low-carb protein powders, meatless meat, though most of them seem to do modified OP (no nuts, very limited fats).